Spanish midfielder Cesc Fabregas has left Chelsea in order to join Ligue 1 side Monaco. Chelsea midfielder N'Golo Kante has signed a new five-year deal at Stamford Bridge. The Football Association has called on the police and social media companies to help shut down online abuse. Cesc Fabregas is out of Chelsea's Premier League clash with his former club Arsenal on Saturday. Chelsea can upset the odds and beat Barcelona in the Nou Camp next month, according to manager Antonio Conte. Chelsea are to extend an open invitation to Ryan Mason to attend one of their matches after the midfielder was forced to retire. A pair of "brazen" burglars broke into two flats in Chelsea in the middle of the day, stealing more than £20,000 worth of property - including Christmas presents - from one, leaving the victims "traumatised". While thieves broke into one of the flats in Stadium Street and took nothing, they stole £20,000 worth of jewellery, cash, cards and Christmas presents from another. The burglaries - which took place between 1pm and 5.45pm on December 4 - saw both properties have their doors kicked. One man is described as black, over 6ft 6inches tall, of a slim build and at the time of the burglary was wearing a black jacket, blue jeans, black gloves and grey trainers with white soles. The second man is described as black, approximately 5ft 7inches tall with short afro hair, and was wearing a black jacket with a grey hoodie underneath, black jeans and white trainers. The two suspects left the scene in a light brown vehicle. Police described the burglars as "brazen" and said the burglary had left the victims "traumatised and upset". Anyone with information should contact Kensington and Chelsea Police on 020 8246 9227 or 101. The new stadium will be developed on the existing site of Stamford Bridge, increasing match-day capacity from 41,600 to 60,000. Chelsea FC official Facebook page has trolled a Tottenham fan over the Champions League draw. 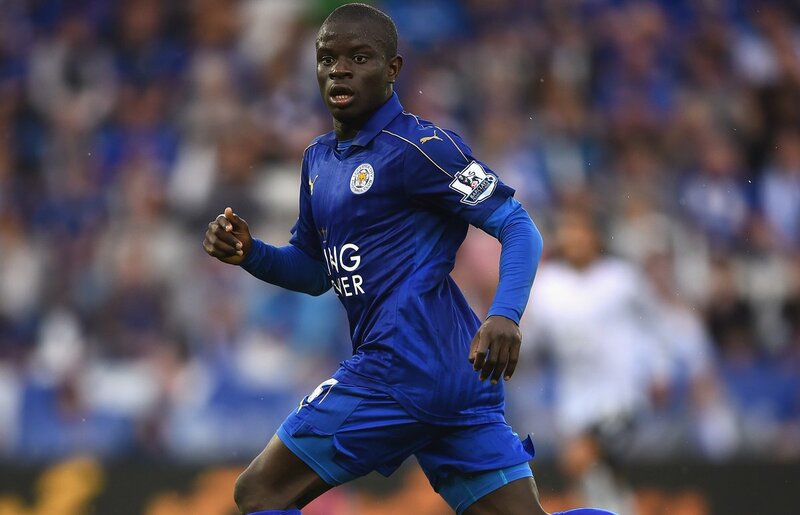 Chelsea have officially welcomed N'Golo Kante to the football club.